One of original counties of New York State 1683. 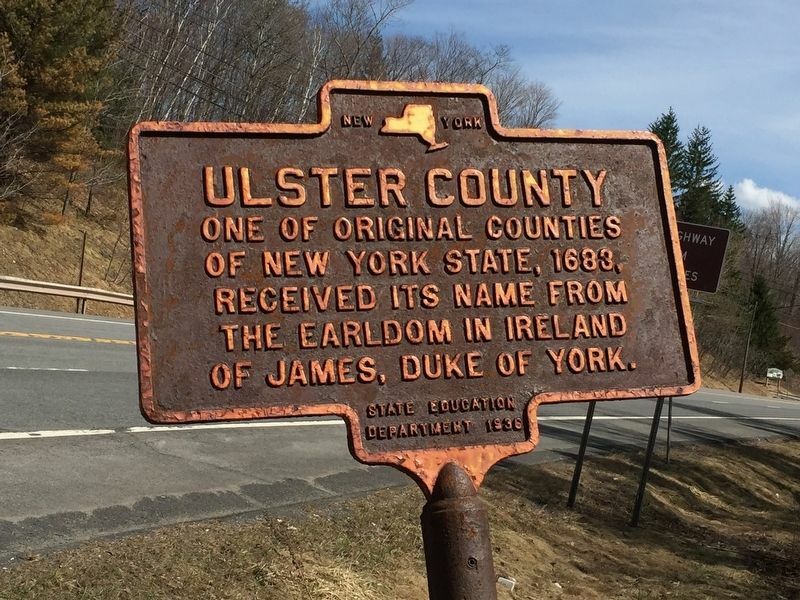 Received its name from the earldom in Ireland of James, Duke of York. Location. 42° 8.895′ N, 74° 29.761′ W. Marker is in Highmount, New York, in Ulster County. Marker is on New York State Route 28, on the left when traveling west. Touch for map. Marker is in this post office area: Highmount NY 12441, United States of America. Touch for directions. Other nearby markers. At least 8 other markers are within 8 miles of this marker, measured as the crow flies. Anti-Rent War (approx. 2.6 miles away); Hubbell Homestead (approx. 6 miles away); 1899 Round Barn (approx. 6.2 miles away); Catskill Water Supply System (approx. 7.2 miles away); Middletown Settlement (approx. 7.3 miles away); Margaretville War Memorial (approx. 7.7 miles away); Margaretville (approx. 7.8 miles away); Lodges Organized in Middletown (approx. 7.9 miles away). More about this marker. Water west of this point flows to the Delaware River. East, the streams lead to the Hudson. More. Search the internet for Ulster County. Credits. This page was last revised on April 16, 2019. 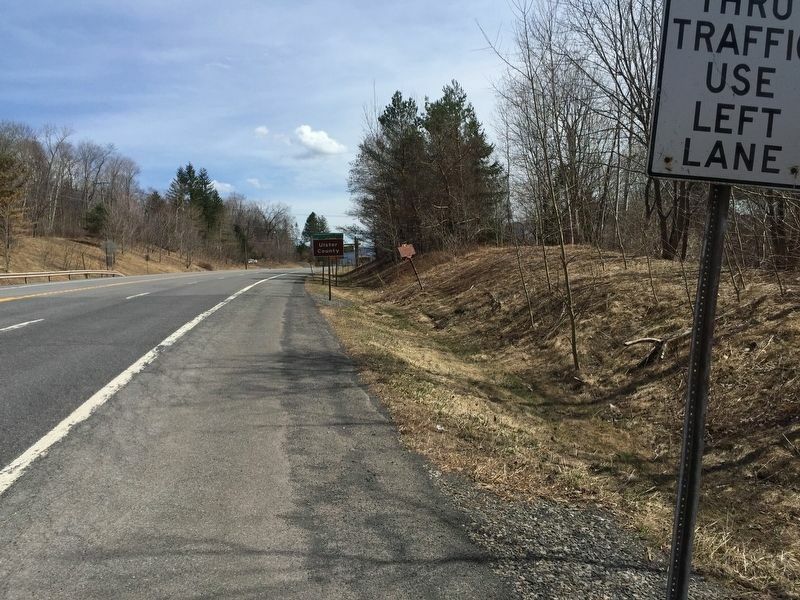 This page originally submitted on April 14, 2019, by Steve Stoessel of Niskayuna, New York. This page has been viewed 48 times since then. 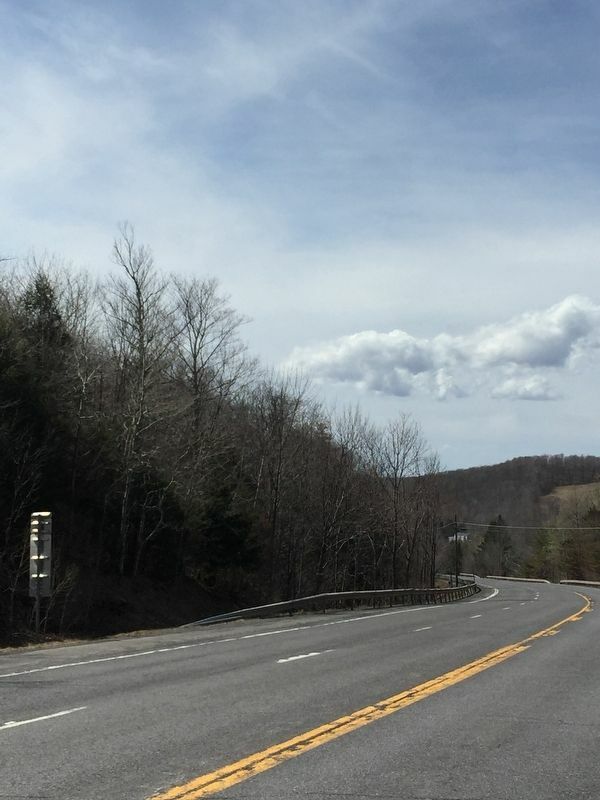 Photos: 1, 2, 3. submitted on April 14, 2019, by Steve Stoessel of Niskayuna, New York. • Andrew Ruppenstein was the editor who published this page.